An industry leader for decades, Sabian is one of the most established names in the cymbal industry. 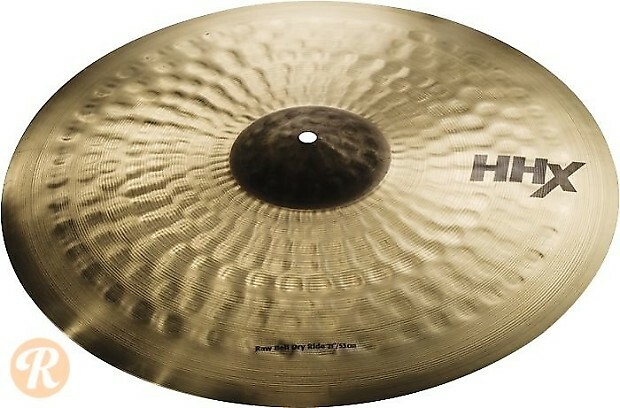 The HHX series, a "modern" interpretation on their HH (Hand Hammered) line, applies the company's "Tone Projection" technology for a louder, more pronounced cymbal. The 21" Raw Bell Dry Ride features an un-lathed bell for sharply cutting tone and focused stick articulation.